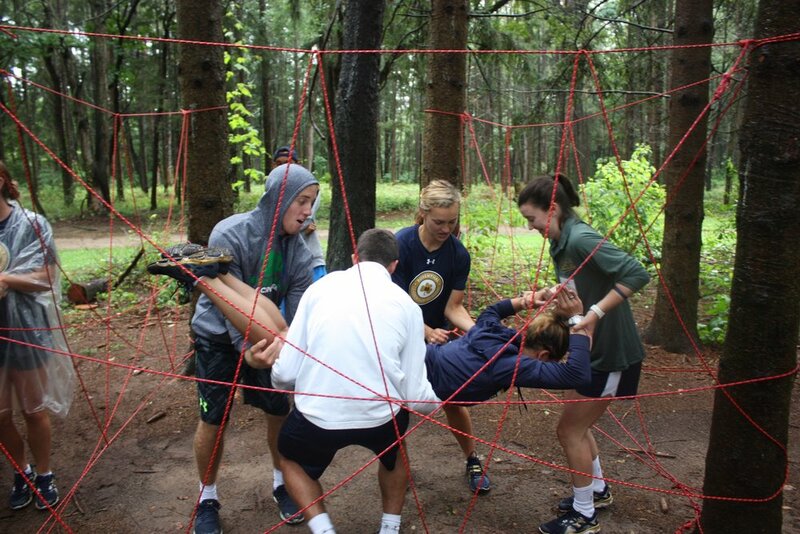 The Rosenthal Leadership Academy is composed of an advisory council, leadership workshops, and leadership retreats. The mission of the Rosenthal Leadership Academy is to develop and enhance strong leadership on Notre Dame athletic teams by providing emerging and existing leaders with progressive annual programming. Notre Dame is a unique institution with a distinctive population of student-athletes. Programming specifics and logistics are developed in conjunction with administration and coaches, considering unique needs. A student-athlete is nominated through a peer nomination process, after which the final roster is developed with the consultation of coaches and support staff.